More often than not, a nosebleed is nothing to worry about. Nosebleeds are most common in school aged children. 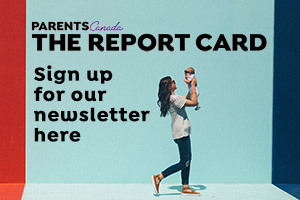 Dr. Nick Blanchette, pediatrician at Trillium Health Partners in Mississauga, Ont., estimates a third of kids between the ages of two and five will experience at least one nosebleed and more than half of kids under the age of 10 will get a bloody nose. The nose has a number of blood vessels located in the wall between the two nostrils, called the nasal septum. “Most nosebleeds happen because the septum is disrupted,” says Dr. Blanchette. Nose picking, shoving foreign objects (like crayons and toys) up the nose or simply excessive rubbing caused by a cold or allergies can cause trauma. Dry winters can also be to blame for bloody noses. “Dry air leads to dried out nasal passages,” says Dr. Dina Kulik, pediatrician at Kindercare Pediatrics in Toronto. “Nosebleeds can be scary because there’s a lot of blood, but most nosebleeds are not life threatening,” says Dr. Blanchette. Although it can be difficult for parents, staying calm is important as appearing anxious can cause the child to become more upset, making it more difficult to stop the bleeding. Sit your child on a chair and tilt the head forward. Tilting the head backwards can cause blood to go down your child’s throat. Pinch the soft part of the nose just above the nostrils with your index finger and thumb, applying pressure for 10 to 15 minutes. Avoid letting go to check if the nose is still bleeding every couple of minutes. Head to your local emergency if bleeding persists beyond 15 minutes of applying constant pressure. If the nosebleed was caused by a blow to the head or if you’re concerned that your child’s nose may be broken, seek medical attention. After a nosebleed has stopped, Dr. Blanchette says kids can return to normal play, but should avoid sniffling, blowing or rubbing their nose. “Don’t do anything to disrupt those blood vessels in the nose,” he says, as this can cause the bleeding to start again. For children who are prone to nosebleeds, you may want to consider using a humidifier in their room to keep the nostrils lubricated while they sleep. This is especially important in the winter when the air inside is dry. 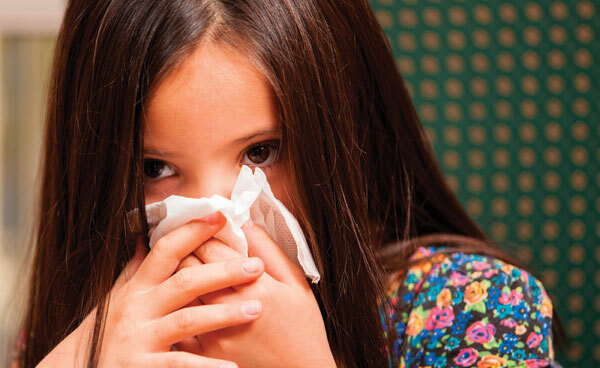 Adding a humidifier to your furnace is also a good idea if your kids experience frequent winter nosebleeds. Dr. Kulik recommends coating the inside of the nostrils with Vaseline or petroleum jelly to lubricate the nasal passages. If your child is a nose picker, keep finger nails short and remind them to keep their fingers out of their nose to avoid trauma to the nose. If your child experiences frequent nosebleeds or if random nosebleeds are difficult to stop (the bleeding doesn’t stop after 15 minutes of applying pressure), Dr. Blanchette recommends seeing your doctor to rule out a bleeding or clotting disorder. Nose picking is one of the most common causes of nosebleeds. Kids pick their nose, well, just because it’s there and they’re curious or bored. Some environmental factors may also cause kids to pick. If your home air is dry, your kids’ nose may be itchy, causing them to pick. Kids with allergies may pick when mucus builds up in their nostrils. Most kids will stop picking their nose on their own, but there are a few tricks you can try to stop your little picker. Redirect their fingers. If you catch your child picking their nose, try redirecting their little fingers by giving them a finger puppet to play with or a crayon to colour with. Keeping fingers occupied with other things is a quick and easy way to stop a picker. Create a reward system. Give your picker a reward at the end of the day if they are able to stay away from their nose. Don’t react. While you may be embarrassed to walk around the mall with a child who has his finger up his nose, avoid nagging or punishing your child when they pick. They most often don’t even realize they’re doing it and pointing out that it’s bothering you may cause them to do it more just to see your reaction. Originally published in February/March 2016 issue. Ask Dr. Marla: How do I treat a toddler's nosebleed?